Our family dinner is something I miss and often feel deprived of as the sole caregiver to my man/child. Growing up, on school days and Sundays, we sat down together as a family and enjoyed dinner. Our dinners featured great and plentiful food, lively conversation and humor. We lived just two doors from our church and because we ate dinner earlier on Sundays, church members as well neighbors would occasionally comment about the sounds of infectious laughter coming from our home. As my siblings and I moved out on our own, we knew on Sundays after the morning church service, Daddy and Mother prepared dinner for the entire family with an unspoken invitation. Not everyone showed up each Sunday, but enough family members would visit to satisfy my parents. My “Time-Out” place to sit and re-group while Solitude and I soak up the quietness. Why did it take me so long to realize the tradition of my family dinner is broken? Alternatively, there was a time when he lost the ability to speak following a life-saving medical procedure. For over six months, he uttered not a sound: Inaudible pain for me. His silence grew deafening and it was a year before he could fully speak again. Our elderly parents present a different phenomenon: We live the realness of anticipatory grief knowing our parents are nearing the end of their physical lives. Not to suggest, the repetitive behaviors are not perplexing or none of us is above wanting or needing to latch out; however we can “will” or train ourselves to become tolerant of unavoidable behaviors… Love makes this level of patience possible. (My 84 year-old mom has uttered perhaps five words in nearly four years… What wouldn’t I give to hear her voice?) Having a realistic and healthy perspective helps and yes, in our finite humanness. 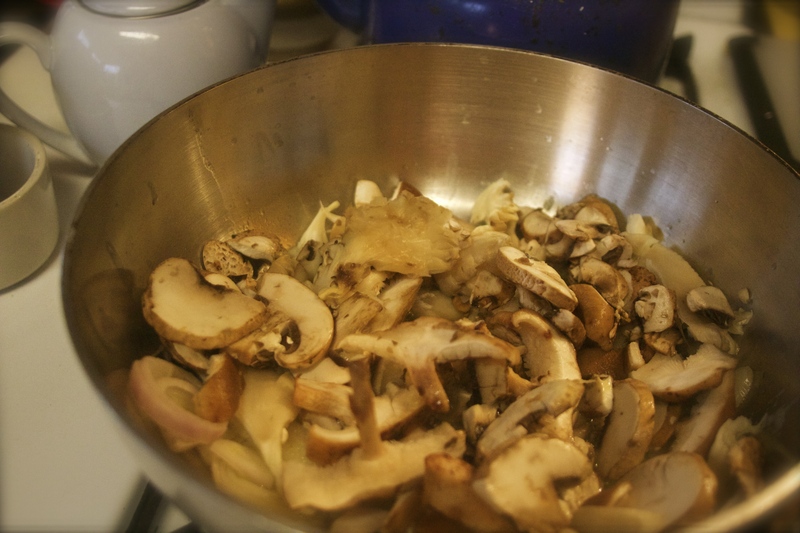 You absolutely must sauté a variety of earthy mushrooms for the best taste. The buttery, flaky crust is full of calories. My apologies. But taste balances (or justifies?) the extra calories. 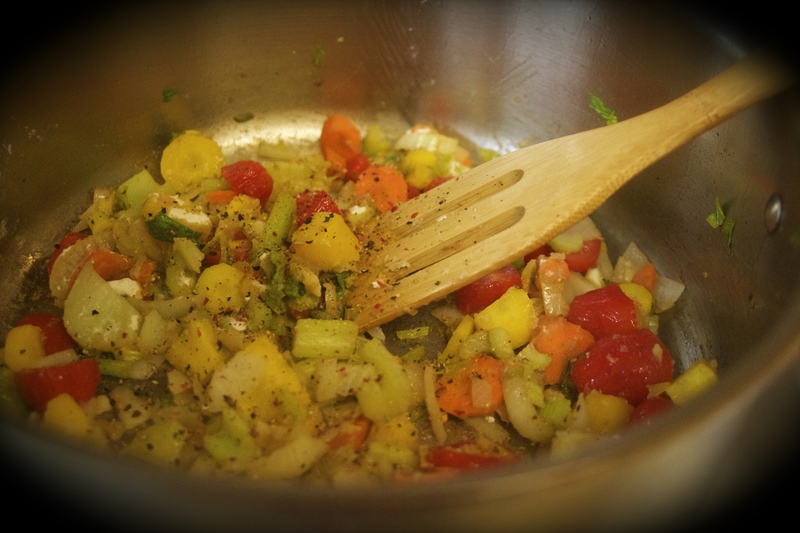 This chicken stew is chocked full of organic veggies. No dumplings, but a tablespoon of spelt for body works. 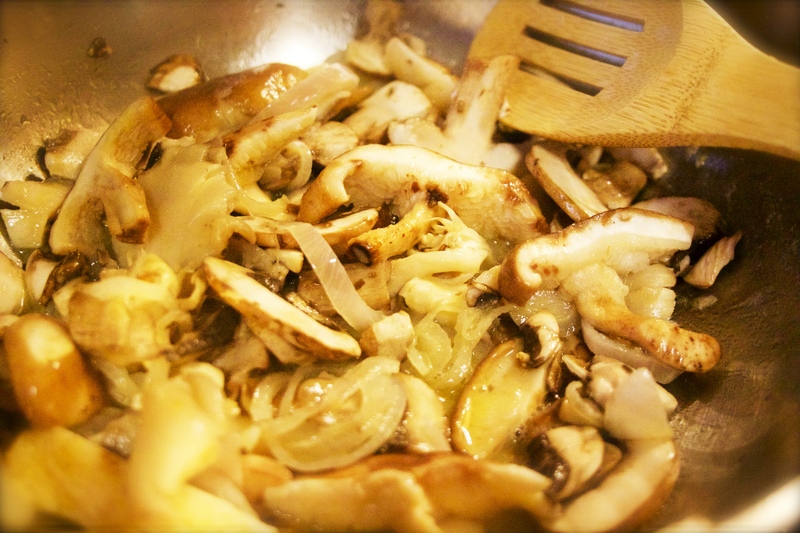 Onions are a bit overpowering so I also sautéed sliced shallots to compliment the mushrooms earthiness. The “new normal” is a constant in the caregivers’ life. I recall the hospital social worker, (or was it a Chaplain?) comforted me shortly after my initial shock of entering the Neonatal Intensive Care Unit. She explained, “This is your new normal.” That day, so long ago now, made absolutely no sense to me. For as long as possible and as often as it was “doable,” my family ate dinner sitting around the dining room table. Over time my fortitude to continue this tradition weakened; IT became too difficult with my youngest at the table… seizures, outbursts, throwing dishes, food, etc., led to him receiving “room service,” which surprisingly he seems to prefer. As much as I adore setting a beautiful table, and occasionally I still do… (I like to think I deserve a lovely table setting… Agree?) More often, I quietly sit and relish a quiet meal with a much-appreciated and timely companion…. Solitude. I would love to say this precious time is uninterrupted because “repetitive behaviors” are the rule… The “Mommy, I want this or that” can make even a quiet meal challenging. Today, Solitude and I won! 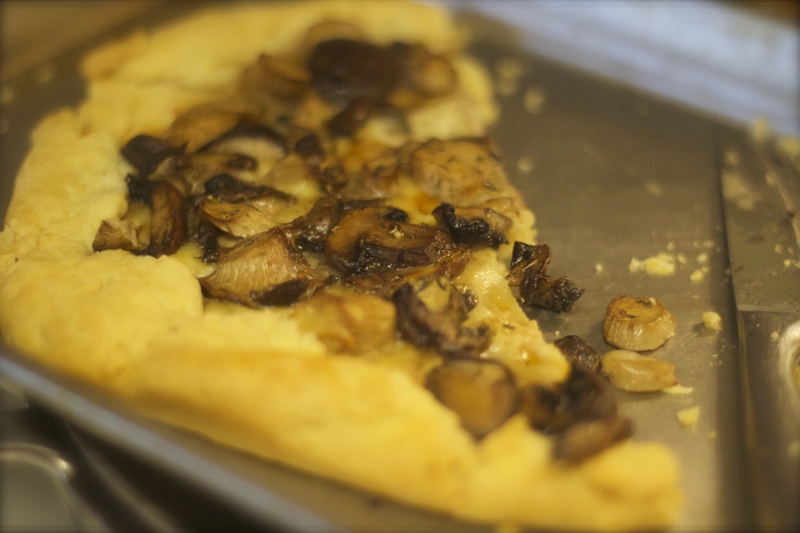 I wisely waited until my man/child had completed his meal and then I sat down with my dependable buddy and enjoyed a tasty Chicken Stew and savory Mushroom Galette. Life is real in my TINYKITCHEN where it seems my “new normal” intensified my desire for GREATTASTE helping me to nurture a BIG HEART. You need a big, healthy heart in this arena. ©J.Faye Guider Productions owns copyright to this article as well all photographs. Thank you.